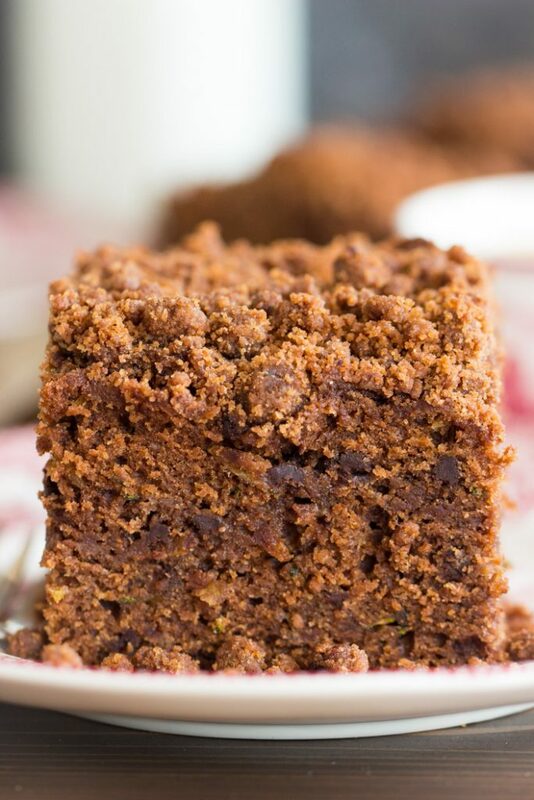 Moist, dense, rich Chocolate Zucchini Coffee Cake that’s a mile-high! 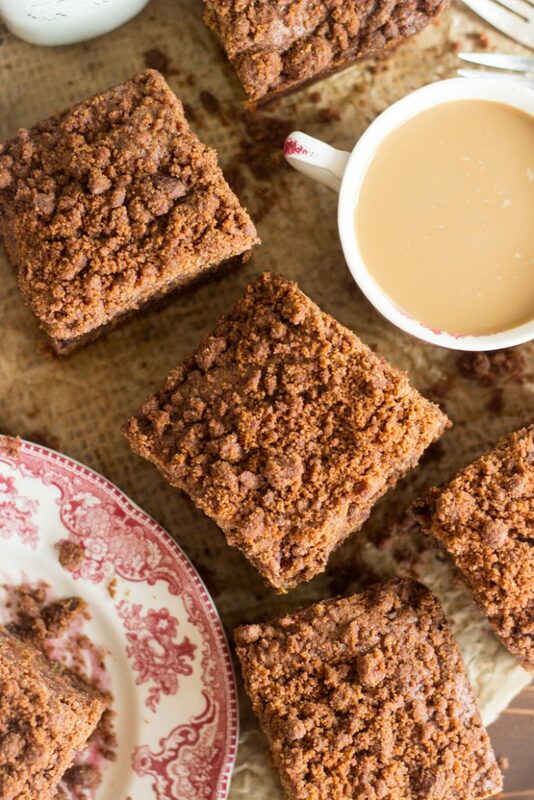 This hearty coffee cake is beaming with chocolate from top to bottom, and the buttery, brown sugar streusel on top is even infused with cocoa! 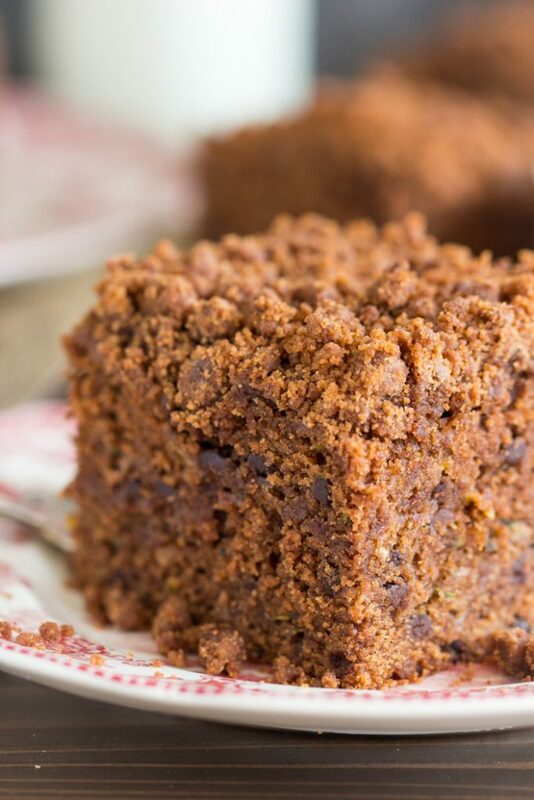 You won’t believe this Chocolate Zucchini Coffee Cake has vegetables in it! Hey! The weekend is here – hooray. It was a strange week with the holiday on a Tuesday. Pretty weird, right? It was nice to have a day off mid-week, but it also made it feel like this week had two Mondays. I had to gear up to ‘go back to work’ twice this week, ya know? Either way, the weekend is here, praise Jesus. I usually try to share a brunch or breakfast-y recipe in time for the weekend, especially if it’s one that’s more involved. 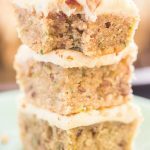 I’m sharing this Chocolate Zucchini Coffee Cake recipe in time for the weekend, even though it’s really not that involved, but who can make a coffee cake on a weekday morning?? I feel like it’s been a while since I’ve posted any ugly food. A few years ago, I felt like everything I was posting was ugly food. It was autumn though, and lots of things were brown – pumpkin, maple, cinnamon, butterscotch, etc., and they were all just ‘blah’ recipes to look at, even though the food itself was top-notch. 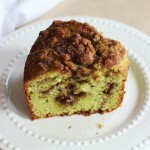 This Chocolate Zucchini Coffee Cake is kinda like that. I feel like it’s a little ugly, but I don’t want it to be overlooked for its modest appearance. We have a gem right here. Please give this Chocolate Zucchini Coffee Cake the love it deserves, k? You’ll be glad you did. Instead of focusing on the fact that this is all a dull brown hue, focus on the fact that it’s LOADED with CHOCOLATE. Even that streusel on top is chocolate streusel. I used my favorite buttery, cinnamon-spiced, brown sugar streusel that I’ve used a few other places (Pumpkin Pecan Scones with Brown Sugar Streusel, Spice Cake Donuts with Pecan Streusel, Pumpkin Apple Streusel Muffins), but added cocoa powder to it so that even the streusel on this Chocolate Zucchini Coffee Cake is chocolatey! Also, you can’t see it too well, but if you look really closely, there’s a thick ribbon of streusel through the middle of this coffee cake. It’s tough to spot because the whole thing is, well, brown, as I’ve already mentioned quite a few times, but if you look closely, it’s there. 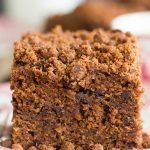 Other than that, the coffee cake itself is loaded up with a good dose of cocoa powder and a heap of mini semi-sweet chocolate chips, so chocolate truly abounds here in this Chocolate Zucchini Coffee Cake. And there’s 2 cups of veggies in this coffee cake that (blessedly) we don’t even know are there. Actually, we do know that zucchini is there, but only in the good ways. It adds moisture, and interestingly, a little sweetness. Otherwise, it’s totally masked. 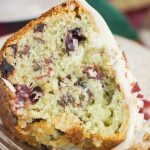 The best qualities of zucchini come out in baked goods, and the not-so-great qualities get left in the dust. If only it worked like that with all veggies. This really is a must-try recipe. 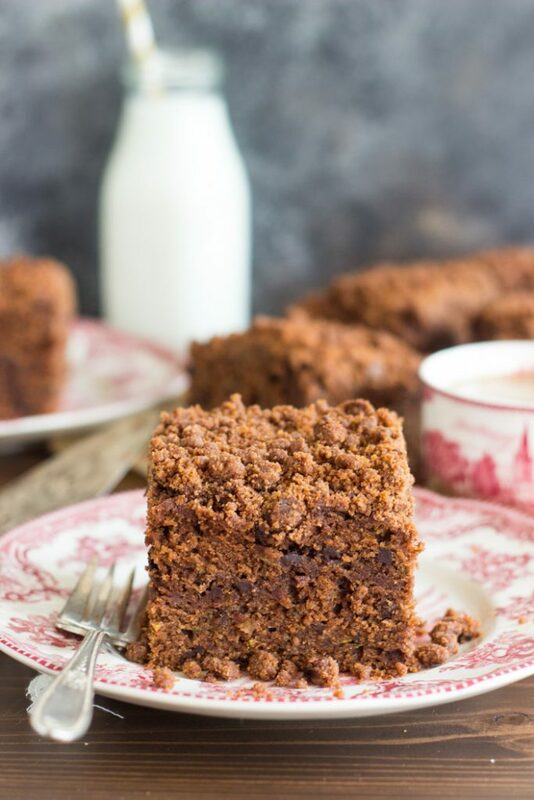 This Chocolate Zucchini Coffee Cake is moist, hearty, and dense, and it’s ultra-chocolatey and brown sugary. It also happens to be a mile-high. It’s SO tall! More = better. If you like chocolate for breakfast, I want to recommend these Coconut-Pecan Chocolate Cheesecake Muffins or these Coffee Muffins with Nutella Ganache. 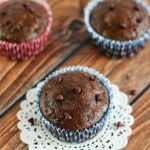 Both those muffin recipes will get you a chocolate fix for breakfast, and that’s always a nice way to start your day. 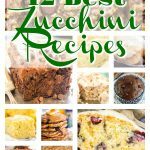 Or if you like other zucchini baked goods, I have these fabulous Chocolate Zucchini Muffins that are super simple and pretty healthy overall. I also shared these Blueberry Zucchini Bread Pancakes a few weeks ago, and you do not want to miss those. That is a stack of pancakes that you definitely need to experience in life! 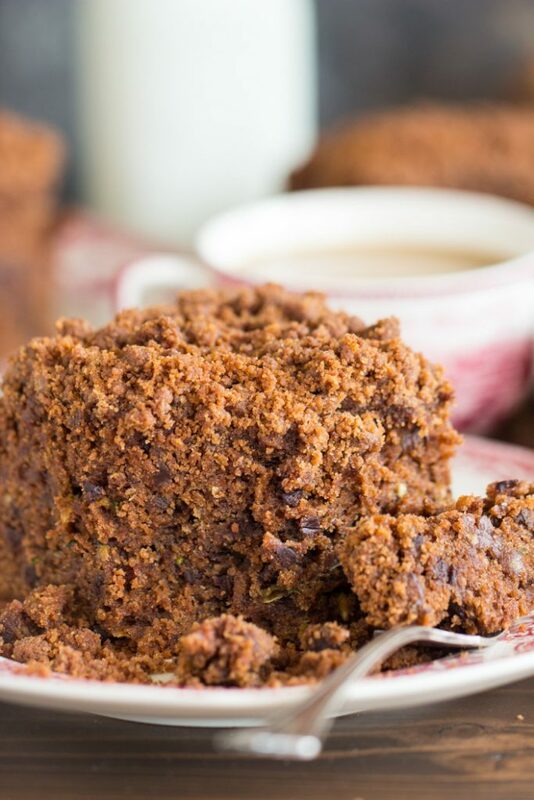 Moist, dense, rich Chocolate Zucchini Coffee Cake that's a mile-high! 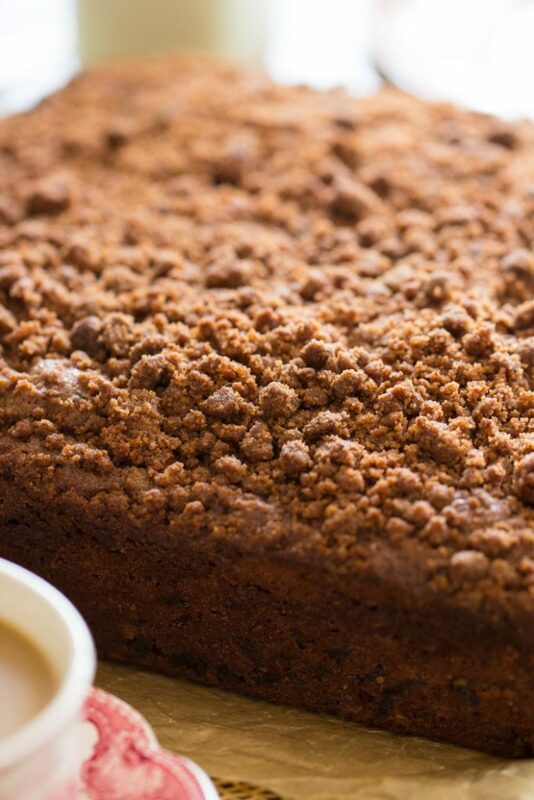 This hearty coffee cake is beaming with chocolate from top to bottom, and the buttery, brown sugar streusel on top is even infused with cocoa! 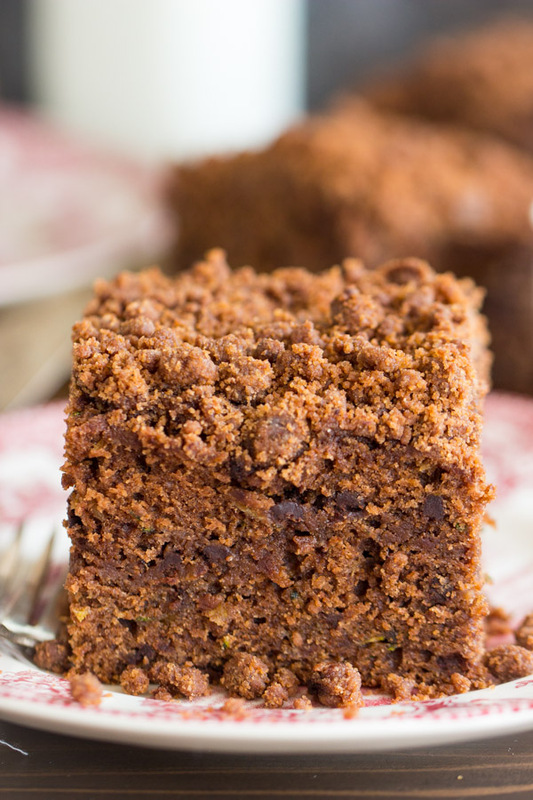 You won't believe this Chocolate Zucchini Coffee Cake has vegetables in it! I have zucchini on the brain since last night I picked up our CSA for the week with a ton of zucchini in it. I was going to make a chocolate zucchini cake (with a cake mix), but now I think I need this cake for breakfast! Oooooh, choc zucchini cake with a cake mix sounds awesome too though. I didn’t know such a thing existed. Do share!! I do not provide nutritional information, but there are lots of websites where you can go to calculate!